CLEVELAND (May 24, 2016) – Great Lakes Science Center is ready to help families engineer a perfect summer of fun with the science of sports, OMNIMAX movies, special events and Great Summer Science Day Camps! The Science Center invites guests to get up, get moving and get the scoop on the science of sports when its newest special exhibition – Sports Arena – opens on Saturday, May 28. Sports Arena’s 16 interactive stations go beyond the typical "hands on" exhibition with balance beams, treadmills, sprint tracks and more. From gymnastics to rowing, walking to running, there's something for guests of all ages and physical fitness levels. Guests can race an image of a dinosaur down a sprint track, test their balance on a competition sized balance beam, step up to the pitcher's mound and even play against the pros in the "green screen games." While exploring the different interactive stations guests will learn the science behind what makes the human body perform the way it does, as well as best practices and other ways to help their body achieve better results! 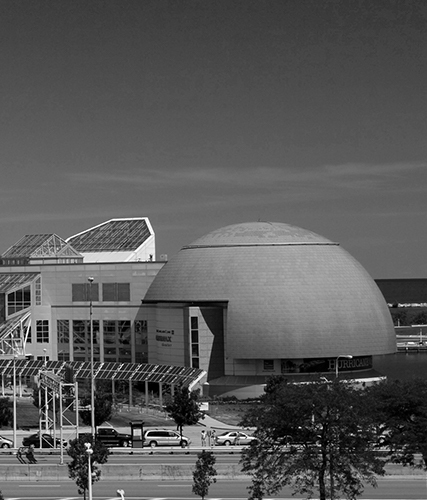 Sports Arena is free with regular paid admission to the Science Center and runs through September 5. Guests will find brand new movies in the OMNIMAX Theater this summer including “A Beautiful Planet,” which opened a few short weeks ago and will run through September 5, and “The Last Reef: Cities Beneath the Sea,” which opens July 1 and also runs through September 5. Filmed in cooperation with NASA and narrated by Jennifer Lawrence, “A Beautiful Planet” is a unique look at our world as captured by the astronauts on board the International Space Station. Earth will certainly be a breathtaking sight as it fills the six-story OMNIMAX Theater’s domed screen! “The Last Reef” will explore the cities beneath the sea through groundbreaking underwater cinematography. 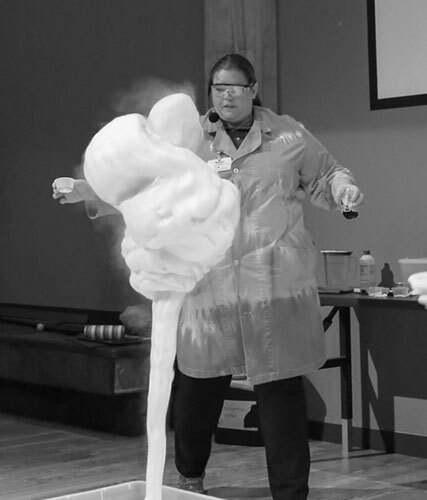 Great Summer Science Day Camps kick off June 6 and run through August 12. This summer the Science Center is offering dozens of different camp themes from LEGOs to roller coasters and has camps available at six different Northeast Ohio locations. Registration is open now, and throughout the summer, at GreatScience.com or by phone at 216-621-2400. The maker movement takes center stage from June 17-23 at the Science Center and around the country as we help celebrate the National Week of Making. To be a maker all you need is the urge to solve a problem and the tools to make your own solution. 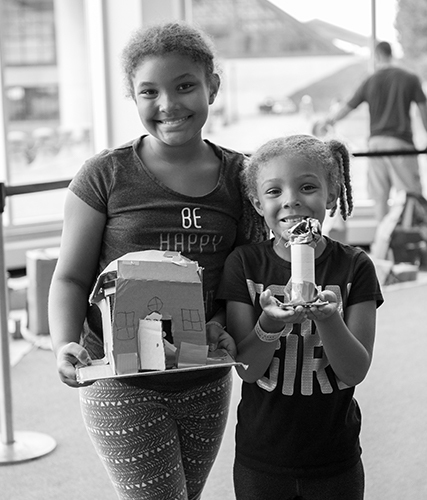 Guests can see what it’s all about at the Science Center with hands-on activities, technology demonstrations and lots of creativity and fun, including a “Cardboard City” community build project, new challenges in the Cleveland Creates Zone and 3-D printer demos. The excitement moves outside to the Steamship William G. Mather on Monday, July 4 for Rock ‘n’ Boom. Guests can see the Fourth of July fireworks over Cleveland from the deck of the Mather! Call 216-621-2400 to reserve a ticket. Guests can round out their summer in the NASA Glenn Visitor Center during Space Adventure Week from July 25-31 and see the Cleveland National Air Show from a different angle during the Air Show Deck Party on board the Mather from September 3-5.